« Support March of Dimes, Win Cool Gameroom Stuff! 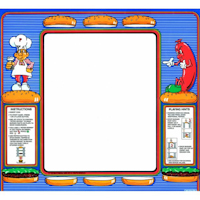 Games > Burgertime > Silkscreened Burgertime Glass Bezels – ready for pre-order! Here’s a link to the pre-sale thread over on the KLOV forums where you can get all the details - http://forums.arcade-museum.com/showthread.php?t=204025. Rich Lint @ ThisOldGame is running the production work on this, so we all know that the quality will be there on this item. If you need this (or think you might at some point in the future) I urge you to support this effort and get in on the buy. These production runs are limited in quantity and generally aren’t done twice unless demand warrants it (and even when demand warrants additional runs, it might be YEARS before the run actually happens), so this might be the last time in a LONG time to get a new silkscreened bezel like this. It takes these types of projects to continue the aftermarket production of the parts we need to continue to restore these games. Without people like TOG, PhoenixArcade, etc. these parts just wouldn’t exist, so please support those who support this hobby! 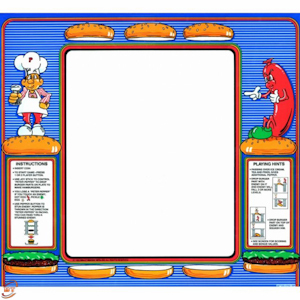 This entry was posted by Whitney Roberts on October 17, 2011 at 11:35 pm, and is filed under Arcade, Burgertime, Parts, Reproductions. Follow any responses to this post through RSS 2.0.You can skip to the end and leave a response. Pinging is currently not allowed.